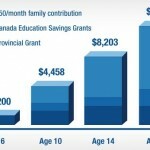 For all parents saving for a child’s education is a challenge. For low income parents the challenge can seem completely out of reach. There is some hope for those who can save even a small amount, $100, $200, $500 a year. 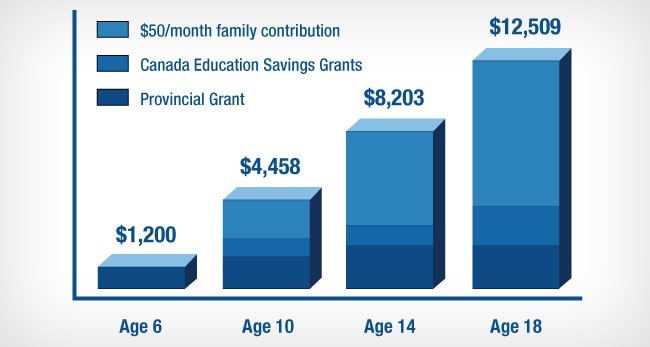 In 2014, the Government of British Columbia announced a new grant for families who invest in their child’s post-secondary education through an RESP. The one-time grant of $1,200 is available to any B.C. resident child who turns six years old. Starting this year, families with eligible children who open or already have an RESP will receive a confirmation letter stating the B.C. government will deposit $1,200 into their RESP. Parents will not be required to match or make additional contributions to their RESP to receive this grant. **The child must be born on or after January 1, 2007. **The child must have an RESP in place. **The child must be a resident of B.C. when the grant application is made. **The child must be enrolled in an education program. Parents/contributors will have a full year, between the child’s sixth and seventh birthdays, to apply for the grant (families of B.C. – resident children born in 2007 will have until February 28, 2014 to establish an RESP). Parents are encouraged to set up an RESP as soon as possible — they don’t need to wait until the child is six. Anyone can make a deposit to the RESP, large or small, it all adds up to supporting our smart kids!